The m.v. 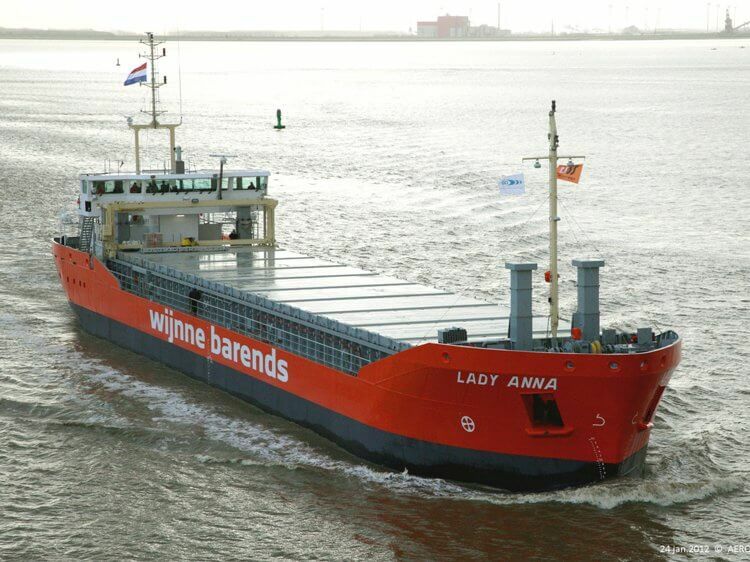 ‘Lady Anna’ is the first in a series of 3.700tdw Sea-River vessels, ordered by Conoship’s long-term customer Wijnne Barends. 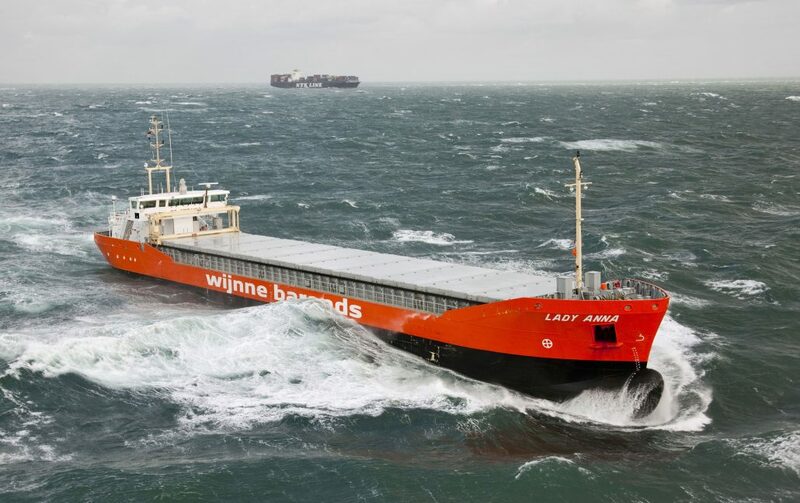 The design is a joint project of Conoship International B.V. and Groot Ship Design, where Conoship developed the concept design, focusing on the hydrodynamic aspects and optimization of the hull form. Extensive CFD (Computational Fluid Dynamics) calculations have been performed to achieve an optimized bulbous bow, including a four-channel bow thruster. Additional CFD calculations have been applied on the aft ship: a combination of a high efficiency nozzle-design, propeller-design and tunnel-shape optimization. 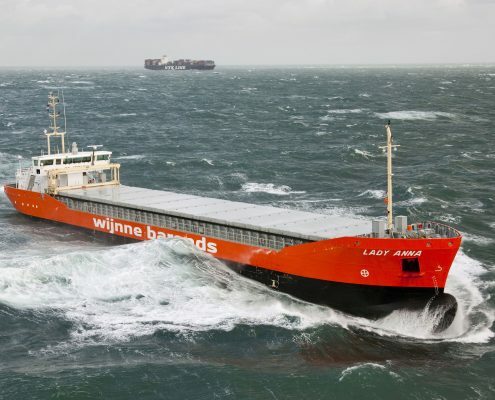 This endeavour results in an innovative aft body which enables the vessel to reach a service speed of 10 knots at the limited power of 749 kW. This innovative high payload vessel will sail on the coastal waters of Europe, the Trollhättan Canal and the rivers Rhine and Seine at a very low fuel consumption.